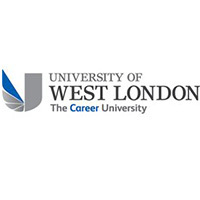 The high quality education at UWL was recognised with students ranking the University as number one in London in the core areas of teaching, learning opportunities, assessment and feedback, academic support and learning community. Whilst at subject level, Accounting, Applied Sound Engineering, Civil Engineering, Law, Music, Nursing and Psychology have all been recognised as the best in the capital. It was not only the University’s courses that achieved outstanding results, UWL’s Students’ Union (UWLSU) was also ranked by students as the best Union in the UK, while UWL is also number one in the UK for student voice. These NSS results are just the latest outstanding achievement by UWL. In recent months, the University has been named London’s top modern university by the Guardian University Guide, achieved the biggest rises in three nationally significant league tables for the higher education sector and gained a Silver Award in the Teaching Excellence Framework (TEF).